Are Dental Sealants in Castle Rock Best for My Child? Now that you’re a parent, you know that there’s one thing that you can’t stop doing no matter how hard you try: worrying about your children! Despite your best efforts, you can’t stop thinking about the best ways to keep them safe and point them in the right direction. 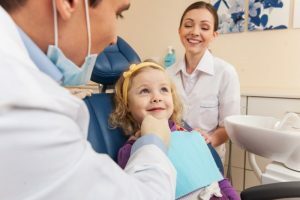 What if your local children’s dentist was able to take a little stress off your shoulders by providing excellent preventive care for your little one’s teeth? With dental sealants in Castle Rock, you can stop worrying—for just a split second—and be confident that your child’s smile is safe from decay and cavities! One of the biggest threats to children’s smiles are cavities! There’s just so many chances to develop decay because of the high amounts of sugar that are in the typical child’s diet these days. Since their young teeth are still developing, it’s important to protect their growing smiles with effective preventive care. Keeping your child’s smile cavity free will help to keep a healthy foundation for their permanent adult teeth to grow into. Dental sealants work to keep bad dental materials, food, and bacteria from collecting in the tiny crevices of your child’s back teeth. With sealants, your child’s teeth will be protected from leftover food, dental debris that can cause tooth decay, and bacteria that would otherwise collect and develop into a dental problem in the future. Dental sealants work so well because they are crafted from a high-quality dental material known as composite resin. This not only matches the shade of your little one’s teeth to camouflage the sealants among their smile, but the material is very malleable and will fill the pits and crevices of your child’s smile. These tooth-colored sealants create a smooth surface that creates easier cleaning and boosts oral hygiene. Studies have shown that dental sealants can ward off cavities for up to 10 years! With all this being said, it might just be time to ask your dentist about dental sealants and other preventive measures that you can add to your child’s dental care plan. 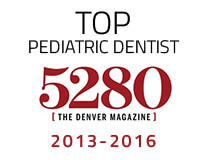 Here at Castle Rock Smiles, we take pride in helping all patients—even the youngest members of your family! We know that a great smile starts at an early age. We also know that taking care of your whole family’s dental health is a big job—one that your pediatric dentist in Castle Rock is more than happy to assist you with! Call us today to see how we may be able to help your little one’s smile. 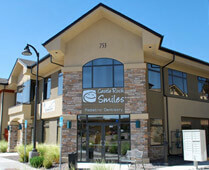 Comments Off on Are Dental Sealants in Castle Rock Best for My Child?